If you are craving own retreat filled with all of your favorite things, then a man cave should be at the top of your list. 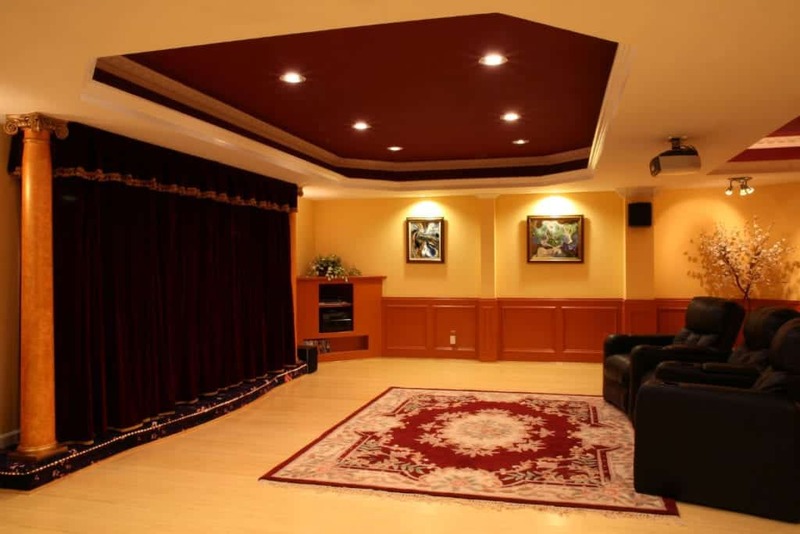 Man caves — also known as manspaces, manlands, mantuarys — can be created by converting garages, spare rooms, basements, or attics into entertainment areas. It’s a place where you can enjoy friends and the spirit of what you enjoy, like sports paraphernalia or notable trinkets and accomplishments. If you are considering setting up your own private getaway, this will help you get started. There is no wrong way to create the theme of a man cave; it’s entirely up to you. The execution and build of the cave, however, can be more difficult. Watching a film on the family TV doesn’t quite compare to the multiplex cinema. Now imagine that same theater in your own home, with no crowds or distractions. Since moviegoers and ticket sales have continued to slow, a movie-based man cave might not be far from the norm in the near future. If this excites you, then you may want to select a movie theater man cave. Must-haves include surround sound, a projector, a large viewing screen, motorized seats with comfortable interiors, lights programmed to dim, and popcorn machines. If you’re a real cinephile, you can also decorate the walls with your favorite movie posters. With a man cave, you never have to be ashamed of your love for video games. Why choose between gaming systems when you can accommodate every popular console in your private space? Gaming has been linked to robust mental health and can help problem-solving, coordination, and critical thinking. Nostalgia is essential for gamers. So outfit your man cave with whatever old school games, memorabilia, consoles, or collectibles that you wish. Tip: If you have a family or spouse staying with you, consider to soundproof the walls to contain noise. Then you can play as loud as you want without worrying about disturbing others. Car garages were the traditional man caves and are still accessible to this day. And since most Americans own two cars or more with little space to store them, a man cave could be a great place to celebrate to the love of automobiles. With just a little professional help, you can transform a standard garage into a classic car showroom or mechanic auto shop. If you are passionate about libations, then equipping your man cave space with a built-in bar can be an immersive experience. It’s the perfect place where mixology and creativity meet. Must haves: Polished wood flooring and marble countertops, along with dark-oak wine cellars can help the ambiance of your room. Other theme-specific accessories include taps, bar stools, televisions, music, hanging lights, mugs and wine glasses. One of the common pastimes that unite nearly every human is a devoted love of sports. It’s a tradition perfected into an application with a sports-themed man cave. A man cave allows you to disappear into your favorite era of music at your heart’s content. Display your instruments, vinyl records, and even a performing stage and recording booth. All music lovers need excellent stereo equipment, too. Consider installing soundproof walls to drown your tunes so you can adequately lose yourself to the rhythms of peace. If you have any questions about your man cave ideas or need direction, speak with a professional that is properly trained to address your build.